Today it is exactly 20 years since I left The Netherlands. I moved to Stuttgart, Germany on December 31, 1995. I had lived in several other countries before that already, among others during primary school in Curaçao, during high school in the USA and as a university student in France, but always returned to live in Holland after a period of time. So I assumed I would live in Germany for 2-3 years and then move back. But that never happened. Within 3 months after starting my first job (a management traineeship at Daimler-Benz headquarters) I got a project in Indonesia. I was involved in a SAP implementation project at the Mercedes-Benz plant south of Jakarta. The project was not very exciting but it gave me a taste of life as an expat for a multinational. So after moving back to Germany later that year and finishing my traineeship 2 projects later, I decided to focus on my new job in financial planning and controlling for a few years and to become really good at it. I wanted to make sure I would be able to get an interesting job abroad after that. 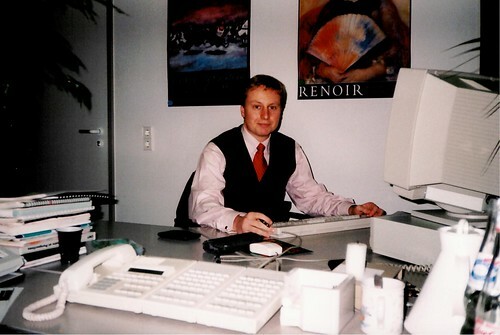 And that worked, because in 1999 I managed to land a job as financial controller for Mercedes-Benz Canada. But before starting it I heard a similar position would become available at Daimler’s regional headquarters in Beijing, China. I had to give up my future job in Toronto in order to apply, which was a risk I was willing to take. My thinking was that I could always go back to Canada later, but that I might not choose China anymore when I would have a family (turns out I was right, although I had not really expected it). 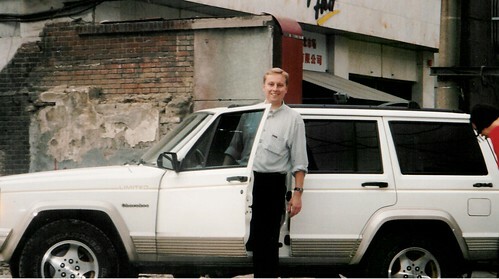 I was lucky and also managed to get the job in China (I later heard there were several other applicants), and started my career at Daimler Northeast Asia in Beijing in January 2000. My thinking was that I would stay in China for 3 years and then move to a different country for Mercedes-Benz, but working and living in China changed me. I quickly realized that China was going to see some major changes and I wanted to be part of that. But not in a corporate position: things move too slowly in big companies and I thought I could do a lot more things when I would strike out on my own as an entrepreneur. So when the topic of renewing my contract came up I decided to quit my job in late 2002. I then studied Mandarin Chinese at Beijing Foreign Studies University for a while, while also setting up my first (consulting) business. Well, 13 years after moving to Beijing I was still in China. In those years I did a couple of start-ups, moved to different places in China about 8 times, and I started a family with 2 young kids. It was time for a change again, especially because the pollution got totally out of hand. This time we moved to North America and we’re still in Vancouver almost 3 years later. I plan to stay here for at least another couple of years, and maybe even for a much longer period. Vancouver is an amazing place to live, maybe the best place in the world in terms of lifestyle and nature. I may go back to Holland for a few years in the future, mainly so the kids will improve their Dutch and understand Dutch culture better (they both have a Dutch passport, so I feel that’s important), although it’s unlikely I would go back for good. One thing I learned over the past 20 years, is that I can feel at home almost anywhere. People are not that different once you get to know them better and you can make friends everywhere. I also learned that I don’t want to be in one place too long. I have travelled a lot over the past 20 years (literally hundreds of transatlantic or transpacific flights) and I realize I don’t want to be in one place for more than 4-6 weeks at a time. Change makes life more interesting. Let’s see what 2016 will bring, Happy New Year! Happy new year Marc and all readers! Lei, I’m not sure which ones work well now, they change all the time. Best is to ask some people living in China, and probably signing up for 2 different VPN services in case one gets blocked. Very interesting and motivating post. But I wish you would’ve written about the time you quit your job and started your first businesses in more detail. It sounds like a big and important time in your life. Or are you saving that for an autobiography? It sounds like you have enough stories to fill a book :-). @Lei, I have been using pandapow for two years now and it has been very good. Definitely worth checking out.